Andy returns to mourn the death of clipart, break YouTube, and talk laser beams, Stephen Hawking, the Star Wars teaser, givin' people the business, and the Orion test flight. Also, the trio wrap up the first half of The Walking Dead season 5. Rage Quit! Laser watch lights matches, pops balloons, lasts 5 minutes. Stephen Hawking wants to be a Bond villain. Has near-sightedness reached epidemic levels? Are you reading this without any aid? Yeah, we didn't think so. 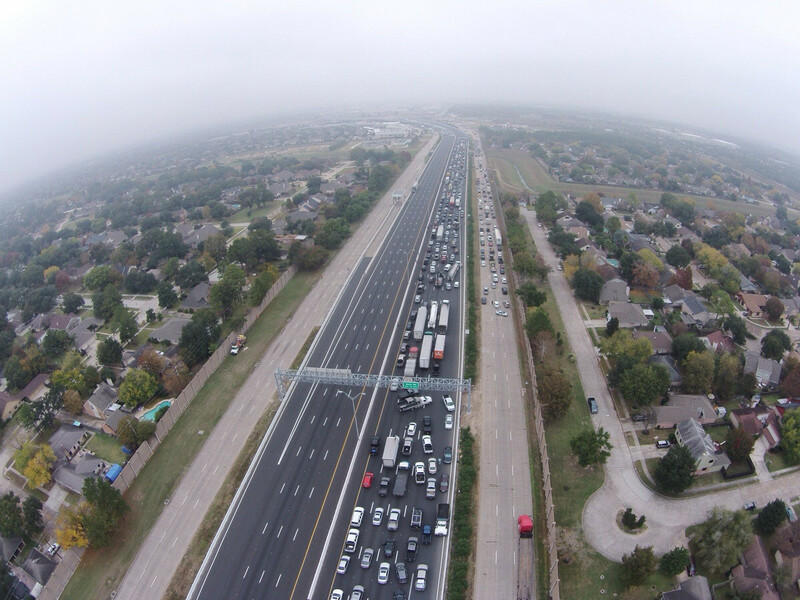 Guy takes a photo of the traffic jam ahead with his in-car drone.